Ten years after the start of the Great Recession, the U.S. economy seems red hot. But as we wrote at the beginning of December, the booming stock market and rock-bottom unemployment rate mask enormous lingering distress, with household net worth still a fraction of what it used to be. Many readers wrote in about their journeys since the recession. Although some had rebounded from a lost job or a drained retirement fund, many have been permanently knocked off their financial course. Some feel the tax bill won't meaningfully change their standard of living, and that wealthy people have gotten more help from both the Trump and Obama administrations. Landscape architect Dan Donohue and his wife, who ran marketing and accounting for their small firm in Batavia, Illinois, had been through downturns before in his 25 years of experience. But the Great Recession, which brought to a halt the real estate development they counted on, knocked them out. With no business and four young kids to feed, Donohue says he applied to hundreds of jobs. At various points, he commuted 153 miles each way for a part-time teaching position at Purdue University that paid $16,000 per semester, worked as an aide in a middle school for $11 an hour, and even took a landscape architectural internship for a park district. Dan Donohue says he applied to hundreds of jobs after the recession hit. The fall from middle class life to near-poverty was swift, and forced the family to forgo even the smallest of luxuries. Donohue recalls explaining to a frustrated teacher that he couldn't afford to pay for his daughter's field trip. "The teacher stated: 'But it's only $6,'" recalls Donohue, 57. "And I said, 'yes, it is only $6, but it's $6 I don't have for a field trip.'" 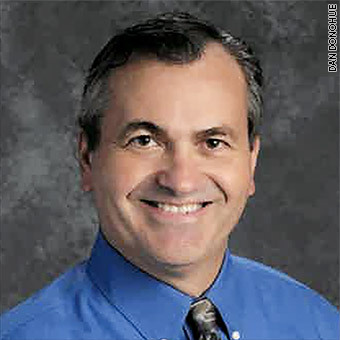 After going back to school for a master's degree in special education, Donohue now makes about $55,000 a year as an elementary school teacher, and his wife works for a state-run science and math boarding school. They managed to keep their house with the help of an 18-month mortgage assistance program, but the schooling has left them with a pile of debt. To Donohue, it all feels a little unfair. "Jamie Dimon, and many others on Wall Street took bailout money and gave themselves million-dollar bonuses," he says. "But thousands of others like myself are now indentured servants to credit card debt and school loans." After 35 years as a contractor for NASA, electrical engineer Peter Young was starting to imagine his retirement party. It had been a good career: Young met his wife Joan at Goddard Space Flight Center, where he worked on the construction, testing, debugging and launching of satellites. They had two kids and a house in the Maryland suburbs. But by 2011, with the end of the space shuttle program, work available to contractors started to dwindle as spacecraft construction at Goddard nearly ceased. The public's appetite for big spending on space exploration faded as the federal budget came under strain, and budget cuts forced cutbacks NASA-wide. "I spent those two years conducting an intensive job search outside of NASA, which yielded nothing," says Young, 66. "I couldn't even give my services away." By 2013, unemployment paid more than the few hours of work Young was able to get. 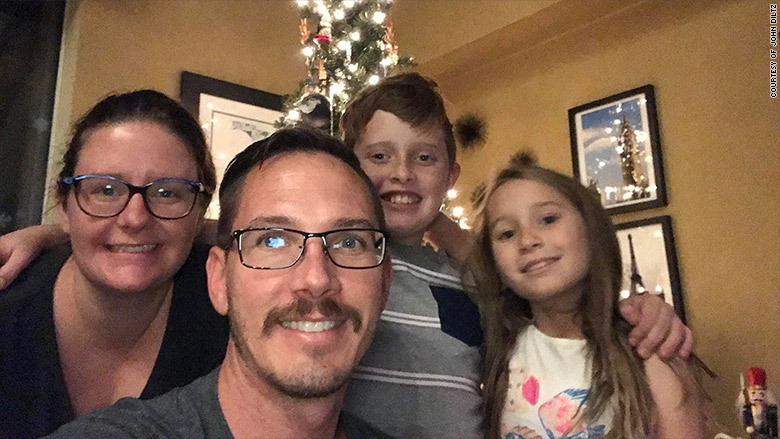 The Youngs drew down their 401(k) accounts to keep paying the mortgage, but still ended up losing their house to foreclosure, and moved into their adult son's apartment. They received food stamps and frequented food banks — something they never expected to need. 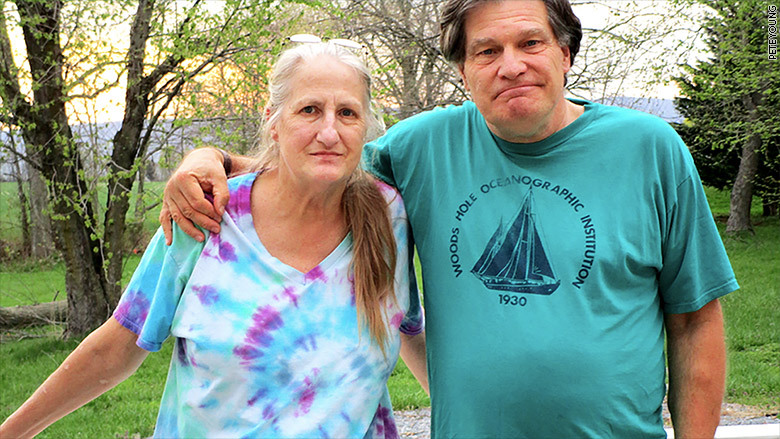 Joan and Pete Young were "knocked flat" by the recession, They're now slowly getting back on their feet. Within a year, Joan came into a small inheritance, allowing them to buy a small house in central Maryland. There, Pete started a small business repairing radios and amplifiers, finding customers through Facebook. It's been a tough go — with his credit ruined, he's working with no startup capital, and can only slowly accumulate the equipment needed to take on bigger projects. Starting over again, in a very different financial state than what he'd planned for, has given new importance to intangible kinds of wealth. "We have always felt that as long as we had each other, everything else, all the material possessions are relatively unimportant and can be replaced," Young says. "Life knocked us flat and, like many people, the process of getting back on our feet changed our outlook on life and made us better people." When you start at the bottom, there's nowhere to go but up — especially if you have a few lucky breaks along the way. That's what John Diltz learned, in his journey from working a $24,000 non-profit job to becoming a successful banker who now lives in a tony Orlando suburb that is also home to the likes of Shaquille O'Neal. After marrying and graduating from college in 2003, Diltz and his wife Erica got their real estate licenses and started selling houses in Florida. They did alright, but had no retirement accounts and no stock portfolio and they were still shopping with coupons and eating at McDonalds. In 2007, they moved to rural Alabama to be closer to family, buying a house on five acres for $190,000. As the recession loomed, the real estate market there was bad and getting worse, and so Diltz decided to get an investment license and try something else. "Banking kind of came just because of the misfortune of my career," he recalls. "At the moment, it was like, 'oh gosh this is scary.' But It opened my eyes to a whole new career." The new job in business lending came with a steady salary, plus health insurance and a 401(k). Their house in Alabama hadn't appreciated very much during the bubble, and didn't depreciate in the crash. Diltz saw friends and family go through tough times all around him — like the uncle who sold his stocks at the bottom of the market and bought gold as the price peaked — but he and Erica were just getting started. In 2010, he took a job at JPMorgan Chase in Orlando, making a relatively comfortable $72,000 a year. Now 36, Diltz' retirement account has grown steadily, riding the stock market's long rise from its nadir in 2009. But he still keeps about 40% of it in cash and treasuries, just in case. "I've always been so risk averse because of all that that happened," Diltz says. "You know your retirement's 20 years away, don't act like it's your first day, when you can put everything in bitcoin." "Emotionally, it's not over when it's over"
Among the industries hardest hit by the Great Recession, nonprofits ranked near the top. As charitable donations dried up, so did Linda Maddox's job as a grant writer for an organization supporting at-risk youth in Atlanta. She was laid off in 2012, and even after half a dozen interviews, couldn't find another steady position for two and a half long years. During that time, Maddox lost her apartment and became a transient, moving five times between friends' houses. 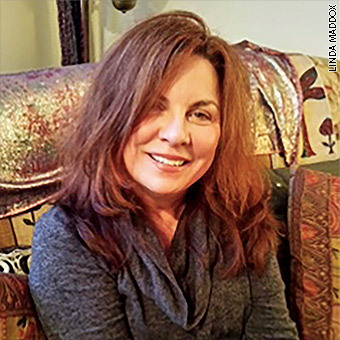 Unemployment benefits ended after a year, and she picked up odd jobs, from dog walking to working the flower stand at Costco. Meanwhile, she had to care for her father, who had just been diagnosed with cancer and dementia. It took years before Linda Maddox could find another job at a non-profit. "My dog died, my dad died, my car blew up," remembers Maddox, now 59 and childless. "And I'm wearing myself out, because I'm exhausted." With her savings drained and credit card debt racking up, she was relieved in late 2014 to land another grant writing position at a non-profit that provides healthy meals to the sick and the elderly, making about as much as she had been before. Maddox has saved enough to pay off most of her debt and put a down payment on a condo, which is cheaper than renting in Atlanta's hot housing market. At this point, she thinks she'll be able to retire when she's 70. But she hasn't put the experience behind her. "It feels like PTSD," Maddox says. "You have to feed yourself, and you're afraid it's going to happen again. Emotionally, it's not over when it's over, because you have this paranoia. If it hadn't been for my friends, I don't know that I'd be here." Allan Fawcett lost about half his net worth in the stock market crash — not atypical for the American household. His recovery, however, wasn't typical at all. As a computer consultant working for Warner Brothers in Burbank, California, through the 2000s, Fawcett made $65 an hour and had excellent job security, since the company needed him for a set of large, critical projects. As the financial crisis unfolded around him, even as his stock portfolio shriveled, he realized that steady income allowed him to qualify for loans that few others could get. "I was just fortunate to have a very good job that allowed me to buy into any real estate that I wanted," Fawcett remembers. "Everybody else went into protective mode, but a lot of us said 'it'll turn around.'" Fawcett bought two condos in San Diego, which generated steady rental income, and a house in the Burbank hills. With no children, he had no other mouths to feed. 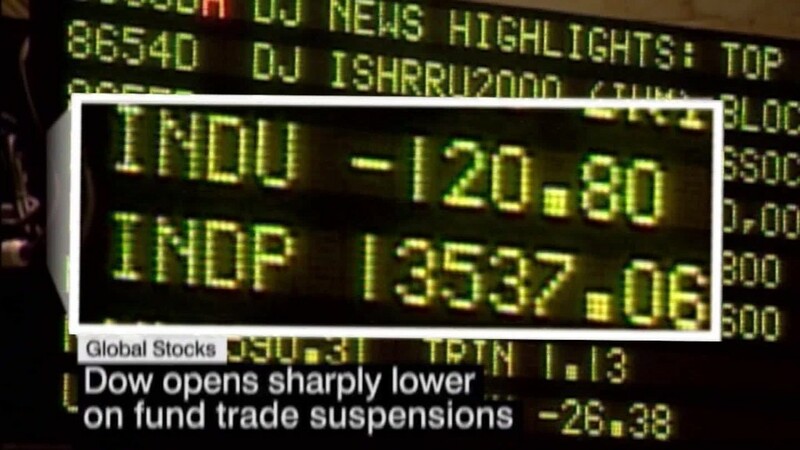 Meanwhile, he changed his stock strategy, taking advantage of market volatility to generate higher returns. By 2014, he says his net worth had tripled. At that point, the consulting work had become harder to come by, but Fawcett figured he could make enough from his investments to live on. While traveling around Europe, he fell in love with a woman in Barcelona. They married last year, and he moved to Spain to live with her. Now 61, he's a year away from being able to claim Social Security — and so far, so good. "We've had a bull market for the past 10 years," Fawcett says. "I keep thinking it's going to drop really soon and I need to find work again, but I've got a lucky star somewhere."